An excellent cooling, soothing gel which is quickly absorbed into the skin. Recommended for use after any type of hair removal. Also suitable for after sunbathing and general moisturising of the skin. 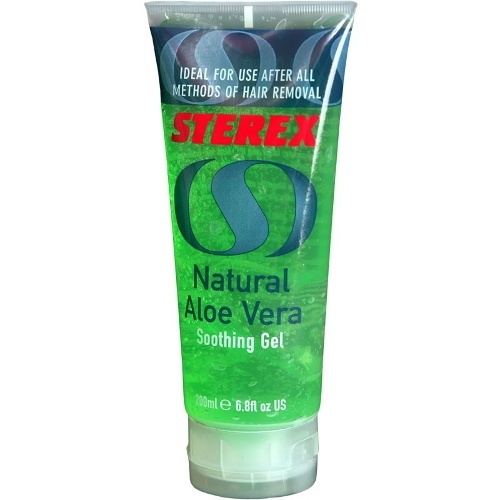 Contains 95% liquid extract of Aloe Vera and has a refreshing lemon grass fragrance. Available in 2 sizes 200ml and 35ml tubes.